Indiana Artisan Lisa Pelo has always loved the freedom of creativity in art. But it wasn&apos;t until a glass elective while working on her bachelor of fine arts degree in creative writing, did she discover a passion for glass blowing. She fell in love with this delicate medium. And one peek inside her gallery proves she has a gift and an eye for creating beauty worthy of praise. 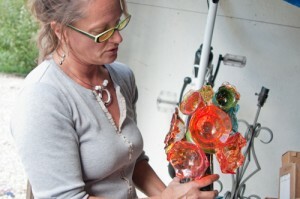 With such a creative spirit, she knew she could never work in the production line part of glass blowing. 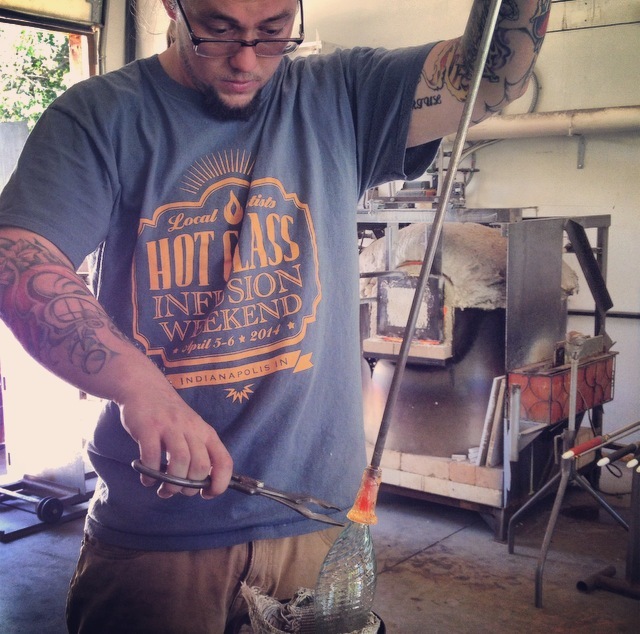 So she opened her own shop, Hot Blown Glass, Ltd. in Clayton. Slowly, over the next several years, she collected an impressive amount of equipment and expanded her business allowing her to work in hot, warm and cold glass as well as metal sculpting. In addition to her own creative work for galleries, gift shops and custom orders, she rents space to other glass artists and also teaches classes to anyone interested in learning this fine art. Hot Blown Glass is also a stop on the Rural Routes to Main Street Cultural Trail&apos;s Second Saturdays. Spend anytime at all talking to Lisa and her passion for the work she loves shines through. In the hopes of bringing more attention to this unique artistry, she is hosting the second annual Hot, Warm and Cold Glass Artists in Action June 6-8. This will be your chance to not only watch Lisa, but 16 other glass artists create beautiful pieces of glass work. You can watch artists in the hot studio by using blowing and furnace work techniques in addition to flame and torch work. They will design small sculptures, beads and even jewelery. Warm and cold glass work will also be demonstrated. And by cold, I mean 1,500 degrees cold. Watch plates, bowls and even scenes come to life. You will see the creativity flow through these artists as they shape, stretch and add color, changing nothing into something right before your eyes. Friday night the event kicks off at 6 p.m. with a special demonstration from 7 to 9 p.m. by well-known glass artist John Miller from Illinois. Although he has kept his demonstration for the evening a secret, he is known for creating elaborate pieces with great detail. Think cheeseburger and french fries, a taco or a donut, all made from glass. Then after dark, Chad Balster will entertain with a fire-dancing performance. The event&apos;s final two days -- Saturday from 10 a.m. to 7 p.m. and Sunday from 11 a.m. to 4 p.m. -- will be filled with demonstrations from artists of various skill levels and styles. In addition, many beautiful pieces will be on display for purchase ranging in all prices. Be sure to check out the demonstration schedule for specifics. All events are free and open to the public and a food truck will be available Friday and Saturday. 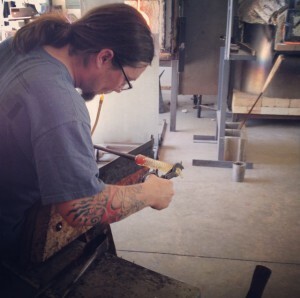 Lisa hopes Glass Artists in Action will become the glass destination in Hendricks County. So be sure to mark June 6-8 on your calendar for a truly unique event for Central Indiana. Bring a lawn chair and prepare for a weekend of amazing artistry created right before your eyes. Hot Blown Glass, Ltd. is just off Cartersburg Road between Danville and Plainfield at 3717 S. County Road 200 East in Clayton.